As the Kenjin Kai enters the second century of community service, we are focused on teaching about the past, serving the current membership, and planning for our future. We are a family oriented multi-generational organization that honors our history and heritage, supports education, and invites everyone that is interested to become a part of the Kumamoto family. The Kenjin Kai hosts three annual events, but supports many Japanese and Japanese American community events held throughout the greater Seattle area. The three annual events are: New Year Party (Shinnenkai), Family Picnic, and Multi-Generational Bus Trip. One of our greatest achievements is to serve as one of the founding support organizations of the Japanese Cultural and Community Center of Washington. The purpose of the Cultural Center is to serve as a gathering place, educational center, and cultural foundation for Japanese and Japanese American history in the State of Washington. All of the Kenjin Kais meetings are held at the JCCCW. 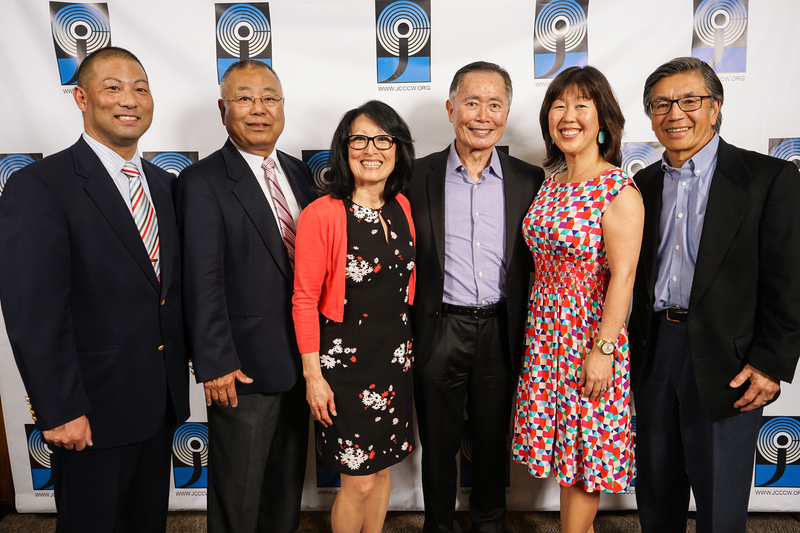 George Takei at the Japanese Cultural & Community Center of Washingtons 7th Annual Tomodachi Luncheon.